History of Anantapur: The City Anantapur got its name from “Anantasaagaram” which was built by Sri. Chikka Vodaya, a minister of Vijayanagaram ruler Bukka Rayalu. Anantapur was well known as “Hande Anantapuram” (Hande means Chief). Hanumappa Naidu who was the ruler of Vijayanagar gifted Anantapur to Hande family. Sultan hanged all the male members of his family. Siddappa escaped from Srirangapatnam’s confinement. 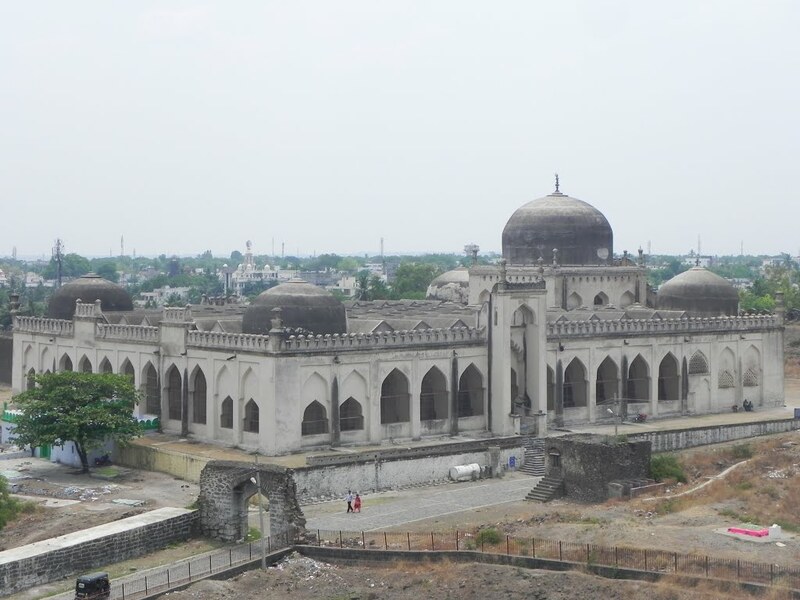 Siddappa got it into his clutches after Tippu Sultan’s regime Later Nizam took total control of the area. After that British occupied the territory. Vicente Ferrer Foundation: Vicente Ferrer was born in Barcelona in 1920 and, after entering the priesthood and joining the Society of Jesus (1944), moved to India in 1952, where he has continued to perform his apostolic work. Between 1952 and 1969 he lived in the Manmad region (Bombay) where he was known as the “missionary of the wells” for the support he gave to the peasants in the construction of water wells, creating the “Rural Development Association”-one of the first organisations dedicated to the development of rural areas in India. With this period ended, the Society ordered his return to Europe; his refusal caused the Jesuits to banish him from their order. At the same time the New Delhi government ordered his expulsion from the country, a decision that was later overturned after massive protests of pariahs. Moving to the state of Andra Pradesh, he again set up irrigation systems, this time in a desert area that was completely barren. The cooperative work method that he instituted there goes by the name of “linked brotherhood”: help is given to each peasant in digging his own well, with material and foodstuffs for the length of the work; when this is finished the peasant-who now can consider himself to be all but rich-helps others just as he was helped. In the face of the rigid Hindu caste system, Ferrer groups the untouchables together in democratically run communities, which has received criticism from several Hindu sectors. In Anantapur, Ferrer´s work has produced results that are truly remarkable. With a radius of action covering an area as large as Extremadura, with 1,100 villages and two million inhabitants, the following has been built: 2,500 houses (1,200 more are to be built this year and nearly 13,000 were repaired), 2 hospitals (a third of them are under construction), two family planning centres, two centres for the handicapped, hundreds of schools, numerous women´s associations. Married with three children, his work has been sponsored by the non-governmental organisation Ayuda en Acción, whose honorary president is H.R.H. Doña Pilar de Borbón. This organisation raises funds through its “sponsor a child” program. on, it was expanded with the addition of Revenue Mandals of Kadiri, Mudigubba, Nallamada, N. P. Kunta, Talupula, Nallacheruvu, O. D. Cheruvu, Tanakal, Amadagur and Gandlapenta (previous Kadiri Taluk)from Cuddapah District in the year 1910. During the year 1956,the present Revenue Mandals of Rayadurg, D. Hirehal, Kanekal, Bommanahal and Gummagatta of Bellary District were added to Anantapur District. The District has been divided into 3 Revenue Divisions consisting of 63 Revenue Mandals (Anantapur Division 20, Dharmavaram Division 17 and Penukonda Division 26). Boundaries And Topography: Anantapur District lies between 13′-40′ and 15′-15′ Northern Latitude and 76′-50’and 78′-30′ Eastern Longitude.It is bounded by Bellary, Kurnool District on the North,Cuddapah and Kolar Districts of Karnataka on South East and North respectively. The District is roughly oblong in shape, the longer side running North to South with a portion of Chitradurg District of Karnataka State intruding into it from west between Kundurpi and Amarapuram Mandals. The District is divided into 3 Natural Divisions. They are 1) Northern Mandal of Rayadurg, Kanekal, Beluguppa Gooty, Guntakal, Vajrakarur, Uravakonda, Vidapanakal, Yadiki, Tadipatri,Putlur and Yellanur containing larger areas of Black Cotton soils (2) Kalyandurg, Kambadur, Settur, Brahmasamudram, Ramagiri, Kanaganapalli, C. K. Palli, Dharmavaram, Bathalapalli, Tadimarri, Mudigubba, Anantapur, Kudair, Pamidi and Peddavadugur in the center which are mainly made up of arid Treeless, expense of poor Red Soils, (3) High Level Land of Penukonda, Roddam, Somandepalli, Hindupur , Lepakshi, Chilamathur, Madakasira, Rolla, Gudibanda and Agali which connects with Mysore plateau at higher elevation of the rest of the District. This part has average sandy red soils of normal productivity. Forests and Rivers: Anantapur Forests: The Forests in Anantapur District are thin and scanty. The Muchukota Hills about 35KMs. in length, run from North of Gooty Town upto extreme Southern Corner of Tadipatri and Yadiki Mandals. Another line of Hills starts from West of Gooty Mandal and run 80KMs.called by name Nagasamudram Hills. The Mallappakonda Range begins at Dharmavaram and runs into Karnataka State. Rivers: The important river in the Anantapur District is Pennar. It has its origin in the Nandi Hills of Karnataka State where it is called “UTTARA PINAKINI” and enters Anantapur District in the extreme South of Hindupur Mandal and flows through Parigi, Roddam, Ramagiri, Kambadur, Kalyandurg, Beluguppa, Uravakonda, Vajrakarur, Pamidi, Peddavadugur, Peddapappur and Tadipatri Mandals and finally enters Cuddapah District. 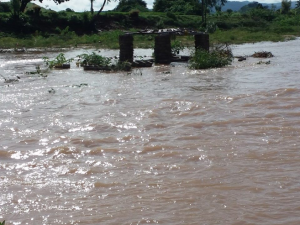 JAYAMANGALA: River which has its origin in Karnataka State enters Anantapur District in Parigi Mandal and joins Pennar River at Sangameswarampalli of Parigi Mandal. 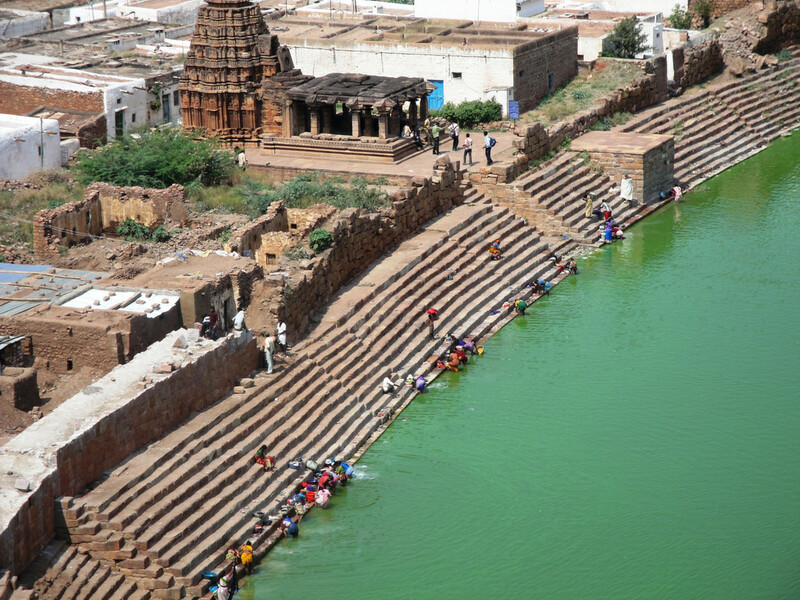 Kothacheruvu, C.K.Palli, Dharmavaram, Bathalapalli, Tadimarri and Yellanur Mandals and falls into Pennar River at Gandikota in Cuddapah District. VEDAVATHI or HAGARI RIVER: also an important one in the Anantapur District has its origin in Karnataka State and flows through Gummagatta, Brahmasamudram, Beluguppa, Kanekal and D. Hirehal Mandals and enters Bellary District of Karnataka State. Bhairavanithippa Project (B. T. Project) constructed on this river. 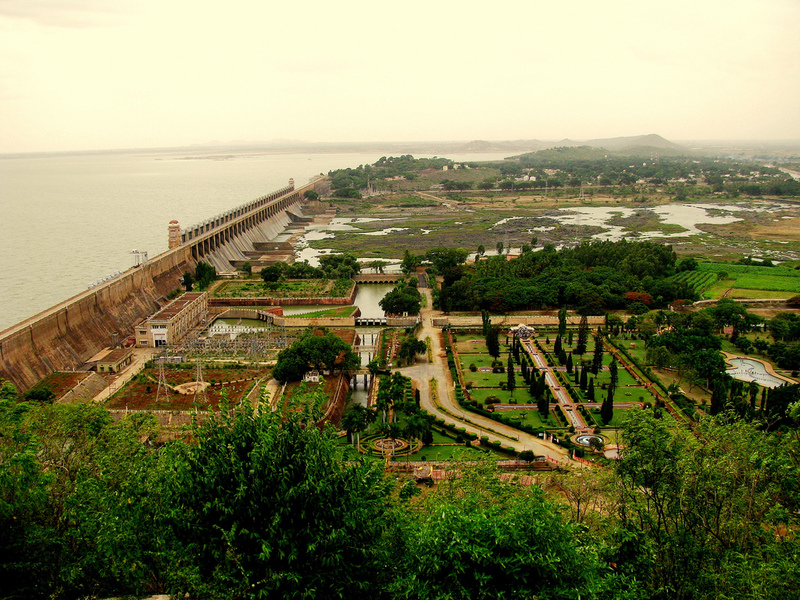 Rainfall and Climate: The District of Anantapur has a fairly good elevation which provides the District with tolerable climate throughout the year. It has a gradual fall from the South North towards the valley of the Pennar in Peddavadugur, Peddapappur and Tadipatri Mandals. There is a gradual rise in Hindupur, Parigi, Lepakshi, Chilamathur, Agali, Rolla and Madakasira Mandals in the South to join the Karnataka Plateau where the average elevation is about 2000 feet is above the mean sea level. It is about 1100 feet at Anantapur and the lowest 900 feet is at Tadipatri. The Geographical position of the Peninsula render it,the driest part of the State and hence, Agriculture conditions are more often precarious. Monsoons also evades this part due to its unfortunate location. Being far from the East coast, it does not enjoy the full benefits of North East Monsoons and being cut off by the high western Ghats, the South West Monsoon are also prevented from penetrating and punching the thirst of these parched soils. It is therefore seen, the district is deprived of both the monsoons and subjected to droughts due to bad seasons. The normal rainfall of the district is 552.0 MMs. by which it secures least rainfall when compared to Rayalaseema and other parts of Andhra Pradesh. The normal rainfall for the South West Monsoon period is 338.0 MMs. which forms about 61.2% of the total rainfall for the year. The failure of the rains in this South West monsoon period of June to September will lead the Aanantapur District to drought by failure of crops. The rainfall for North East monsoon period is 156.0 M.Ms. only, which forms 28.3% M.Ms. of the total rainfall for the year (October to December). The other months are almost dry March, April and May are warm months when the normal daily maximum temperature ranges between 29.1 C November, December and January are cooler months when the temperature falls about 17.2 C, Hindupur, Parigi, Lepakshi, Chilamathur, Agali, Rolla and Madakasira Mandals being at High Elevation are more cooler than the rest of the Mandals in Anantapur District. Soils And Land Utilisation: AnantapurSOILS: The soils in Anantapur District are predominantly red except Kanekal, Bommanahal, Vidapanakal, Uravakonda, Vajrakarur, Guntakal, Gooty, Pamidi, Peddavadugur, Yadiki, Tadipatri, Yellanur, Peddapappur and Putlur mandals. In these Mandals red and black soils occur almost in equal proportion. Thus 76% red soils, 24% are black soils. 10.01 Lakh Hect. Area sown more than once is 0.39 Lakh Hects. The cultivated area of Anantapur District is 10.01 Lakh Hects. out of which 8.32 Lakh Hects. is under Kharif and 1.69 Lakh Hects., is under Rabi Season. The Anantapur District occupies the lowest position in respect of Irrigation facilities with only 14.19% of the gross cropped. Out of the gross irrigated area of 1.42 Lakh Hects. canals accounted for 16.19%, tanks 1.40%, Tube wells 68.30%, wells 13.38% and other sources 0.73%. All the principal sources except canals are non-precarious. FORESTS: The Anantapur District is not rich in the Forest Wealth. The name ‘Forest’ in Anantapur District does not indicate any dense tree population with thick foliage of variform of pastures. MINERAL RESOURCES GOLD: At Ramagiri village in Ramagiri mandal, Gold is found to occur in the Cholite Schist’s and physlite along with western part of Dharwar Schist’s Belt in the district. The place extends over a length of 14 kms Exploratory mining in the area is pruned about 467 meters of ore shoots with an average width of 100 CMS Tonne. Mining operations are expected to be conducted by Bharat Gold Mines Limited. DIAMONDS: Diamonds are know to be available near Vajrakarur. They mainly occur in pipe rocks. ASBESTOS: (Chrysolite variety Cross fibre type) Barytes High Grade Line Stones, Iron ore and steatite are the minerals occurring in Anantapur district. There are however no large sized minerals occurring in the district. There are 2 Cement Factories in Tadipatri Mandal one in the Public Sector and the other in private sector. The construction work of L&T Factory is completed and started production. Places of Tourist importance: GUGUDU: The village in Narpala Mandal is at a distance of 29 kms from Anantapur and is situated among the Mutchukota Hills. It is known for its Moharum Festival and Sri Kullai Swamy is the name of the much venerated saint. Barren women are said to become fertile by paying a visit to the shrine. Fire walking ceremony is conducted on the night of the 11th day of Moharrum. There is also Sri Anjaneya Swamy Temple near by the abode of Sri Kullai Swamy Chavidi. also associated with the travellers of Lord Sri Ram. The Temple is veritable treasure of sculpture and architecture. Large number of pilgrims visit the place on “SHIVARATHRI” and other saivite festival days. 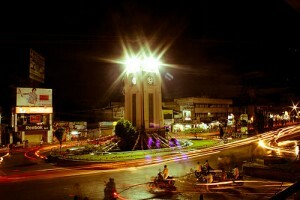 ALURKONA: This place is at a distance of 5 kms. from Tadpatri and is known for the Sri Ranganatha Swamy Temple built on the top of the hill by Yerramaraju, a Chiefttain of Bukkarayalu in 1330.There is a waterfall nearby with perennial spring. 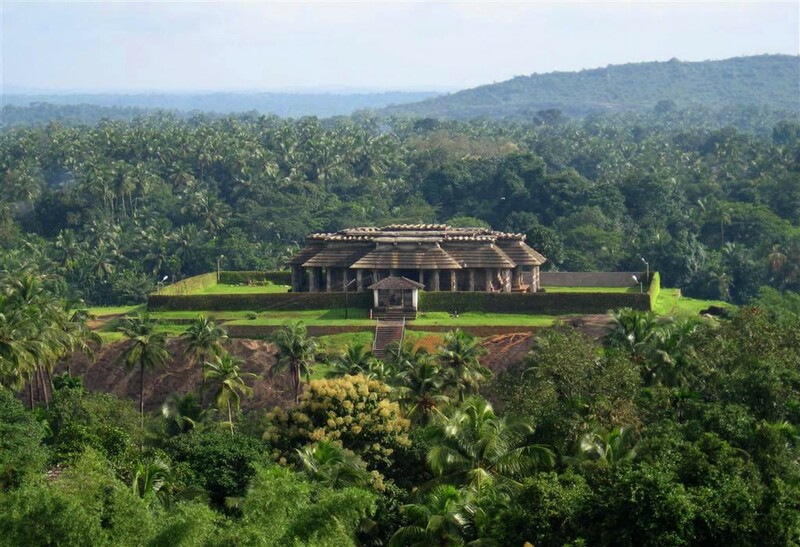 It is not only a pilgrim center but also a picnic spot on account of the scenic beauty of the place. Thousands of pilgrims visit the place all round the year and perform marriages and religious ceremonies. The annual Brahmostavam Festival is being celebrated on Chitra Suddah Pournima (Usually in April) attracts huge congregation. 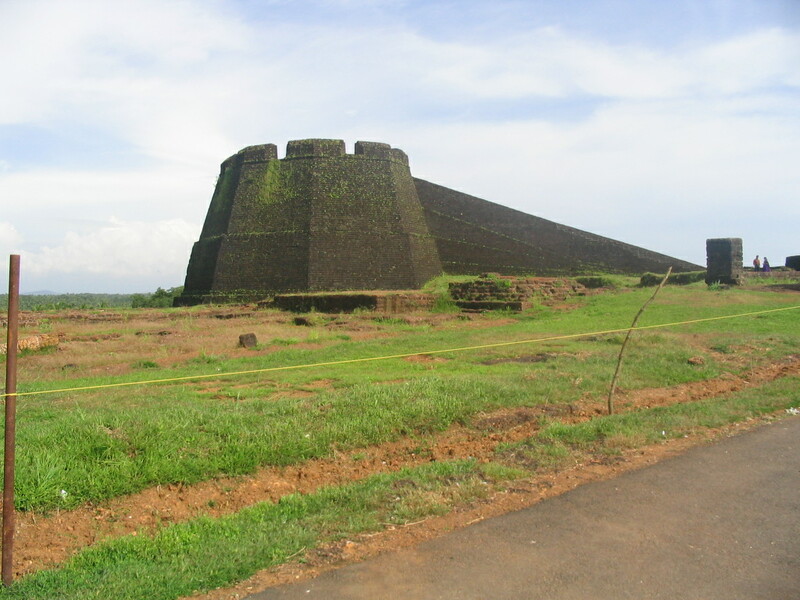 PENNAAHOBILAM: This place situated at a distance of 35kms. from Anantapur is an uninhabited village known for its Temple of “Sri Lakshmi Narasimha Swamy” popularly called as “Degurla Narasimha Swamy”. This place is an important pilgrim center in the District and the Car Festival on the fifth day of the dark fortnight in the month of Vaisakam (April-May) will be largely attended by devotees even from the neighboring Districts and the Karnataka State. The temple is constructed on a hillock of 30 feet height. 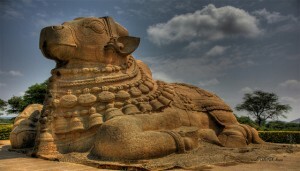 The main shrine consists of gigantic foot mark of 5’x3′, believed to be the foot print of Lord Narasimha. Vows are fulfilled and marriages and tonsure ceremonies are performed frequently at this shrine. The temple of Lakshmi, the lords consort is situated by the side of the main shrine. There is a spring channel in the temple known as “Bugga Koneru”. GUTIBAYALU: This place is about 21 kms. South-East of Kadiri. There is a Banyan Tree, perhaps the biggest of its kind in the South, its branches spreading over nearly 5 acres, locally called “Thimmamma Marrimanu” after the name of Thimmamma, who is said to have committed ” Sati” in 1434 A.D at this spot, where this Banyan Tree sprouted. PUTTAPATHY: This village is on the banks of Chitravathi situated at a distance of about 29kms. from Penukonda. It is the abode of Puttaparthy Sri Sathya Sai Baba, drawing devoted disciples from all over the world. 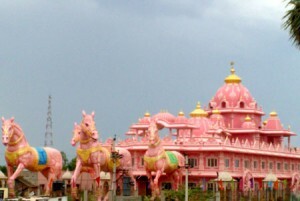 There is Prasanthi Nilayam (an Ashram) constructed by the Devotees. The Baba is credited with acute powers. On Sivarathri, on the birth day of the Baba and particularly during Dasara, quite a large number of devotees visit the palce. A beautiful mantapa by name” Poornachandra” is constructed in which a large number of Baba devotees would assemble and perform “Bhajana” on festival days. PENUKONDA: Penukonda is one of the early capitals of the Vijayanagara empire, the fort was impregnable during its time. 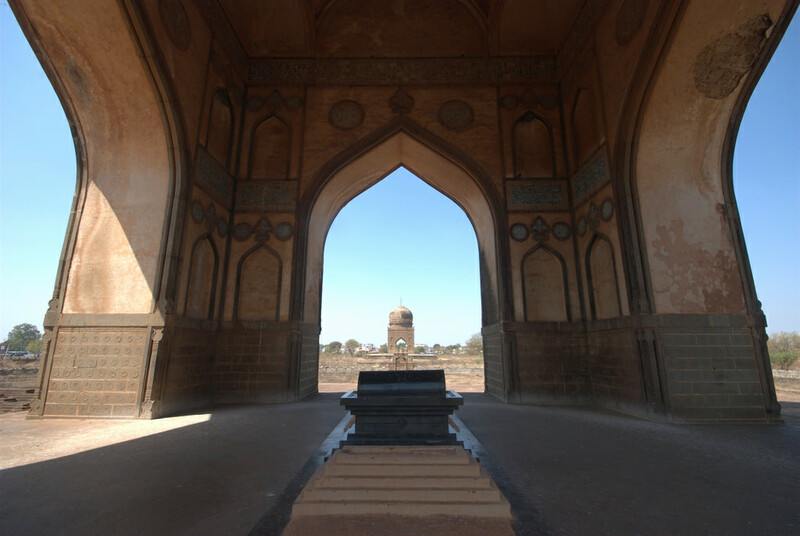 The two most noteworthy sights in the fort are the “Gagan Mahal” the Summer resort of the kings and “Babayya Darga” a splendid example for communal hormony. Here Kumbakarna garden was spread over 5 acres. It has a Gigantic statue of the sleeping Kumbakarna, measuring 142 feet in length and 32 feet in height into whose cavernos belly one can walk into it. Several asuras are seen trying to wake up the sleeping Gaint. HEMAVATHI: Hemavathi is located at a distance of 140kms from Anantapur. It is famous for Doddeswara Swamy temple built during the Pallava Reign. The stone used in making the idols sounds like metal when stuck and is also remarkably polished. A Nandi made of black basalt granite, 8 feet in lenght and 4 feet in height sits at the entrance. There is a 6 feet tall Lingam installed inside the sanctum sanctorum. The temple area houses two other temples dedicated to Lord Shiva called the Siddeswara Swamy temple and Mallikarjuna Swamy temple. There is a Museum in side which has rare idols of historical importance of display. sculptures depicting Jain gurus and their disciples. In the proximity are other sites like Rama Temple, Narasimha Swamy Temple, Neelakanteswara Temple and Jambukeswara Temple. 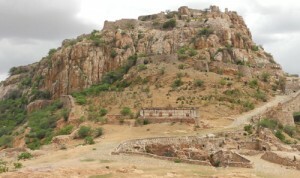 GOOTY FORT: Gooty fort is majistically located at a distance of 52kms from Anantapur at a height of 300mts on a hill. 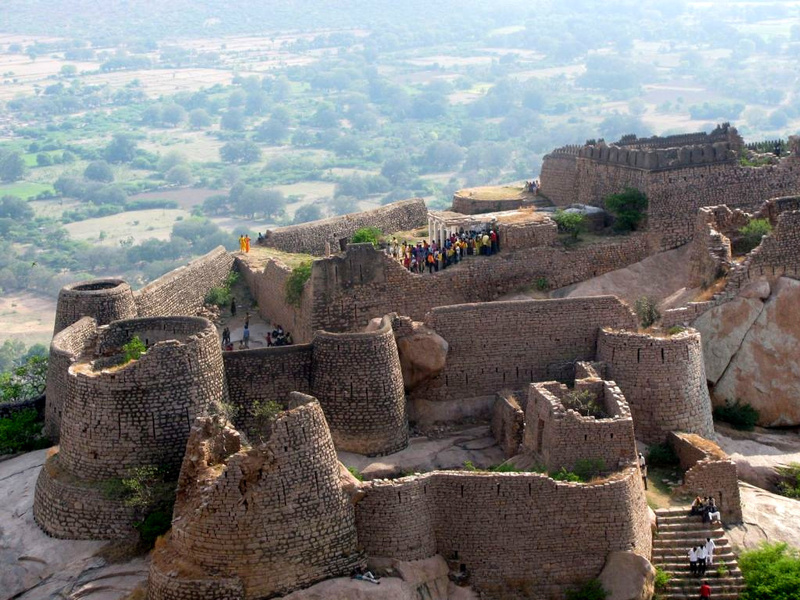 It is one of the oldest hill forts in A.P. 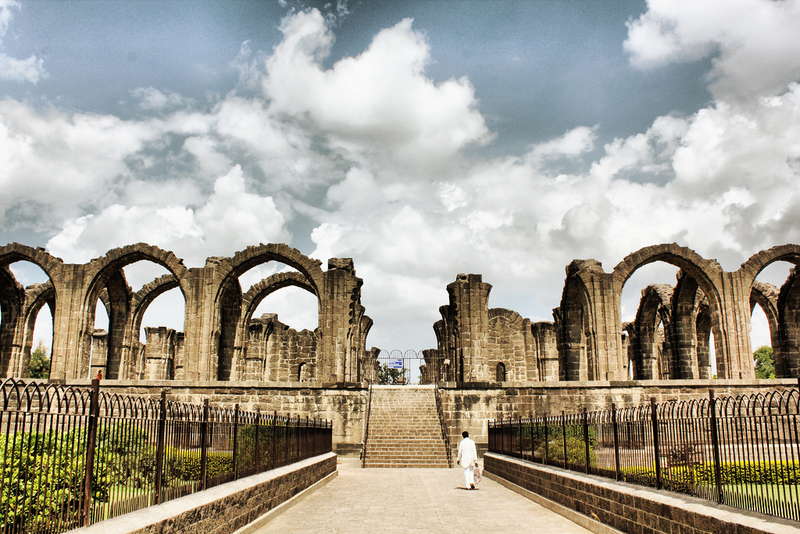 Built during the Vijayanagara era, the fort is uniquely built in the shape of a shell with 15 main doors and is significant for its water resources available at such a height. TADIPATRI: Chintala Venkataramana Temple is located in Tadipatri town which is at a distance of 52 kms from Anantapur. From Tadipatri town at a distance of 1 km., over looking the Penna river, the Bugga Ramalingeswara Temple is remarkable for a Lingam on a pedestal constantly filled with water from a small spring. SRI KADIRI LAXMI NARASIMHA SWAMY TEMPLE: Kadiri is the holy shrine where Lord Vishnu set foot and handed over the Utsavamoorthis to Brugu Maharshi for his daily worship. Special Poojas are performed during Dassera and Sakranthi. There are several sacred thirthas connected to the Temple. DHARMAVARAM: Sri Laxmi Chennakeshwara Temple is renowned for its architectural brilliance and for the perennial waterspout and pillars, which produces seven different musical notes when struck. Dharmavaram is also known for its cotton and silk weaving industry with its silk sarees popular all over the world. This place is also known for its expertise in making leather puppets. JAMBU DWEEPA AT KONAKONDLA: The Jain Mythical cosmographical diagram of Jambu Dweepa engraved on a stone on the top of the hill Alchemists at Konakondla village in Vajrakarur Mandal which was identified by Sri R. V. Chakravarthy, Head Master, Parishad High School, Konakondla in the year 1966. The pilgrims, especially south Indian Jain pilgrims are mostly attracted by this Jambu Dweepa which is 70 kms from Anantapur or 10 kms from Guntakal Railway Station. Adjacent to this, there are Kambam Narasimha Swamy Hills, Rasasidda hillock and Kari Basappa hillock. There is a Thirthanka Temple with idols of Thirthankaras (high priests) on Rasasidda hillock. 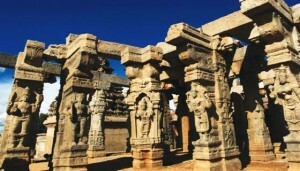 This may belong to 13th Century A.D.
Sited in the largest district of Andhra Pradesh, Anantapur is well-connected to all the major parts of India. It has an excellent network of roadways and railways, helping those reaching the city. In fact, Ananthapur is easily accessible by air, rail or road, providing you all the options of traveling there. Despite the fact that the city doesn’t have its own airport yet the airdromes at Puttaparthi and Bangalore receive its entire traffic of air-passengers. Scroll down to know how to reach Ananthapur. By Air: The airports at Bangalore and Puttapurthi serve the needs of air-passengers for getting to Anantpur. The former lies at a distance of 200 km, while the latter is 70 km from the town. 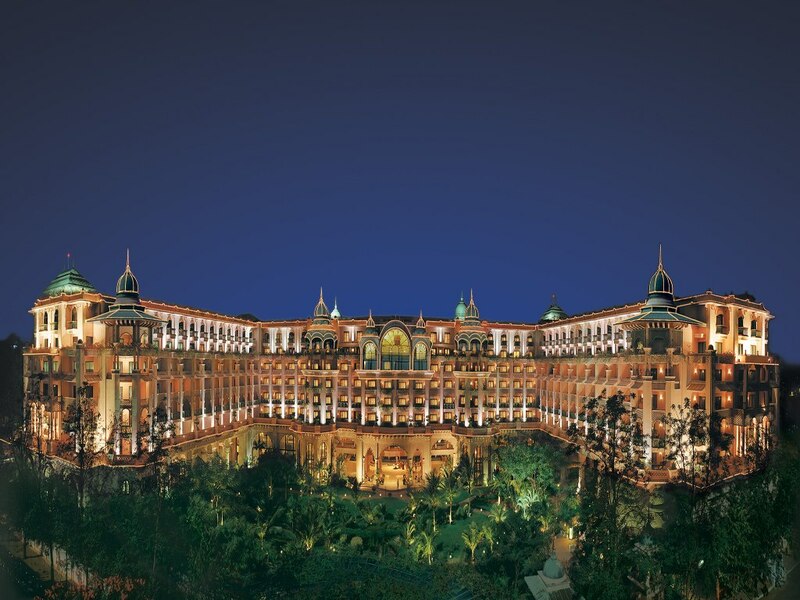 Bangalore airport is well-connected to all the major cities of the country, while Puttaparthi airport is connected with some limited cities. One can take bus or hire taxis to cover the remaining distance. 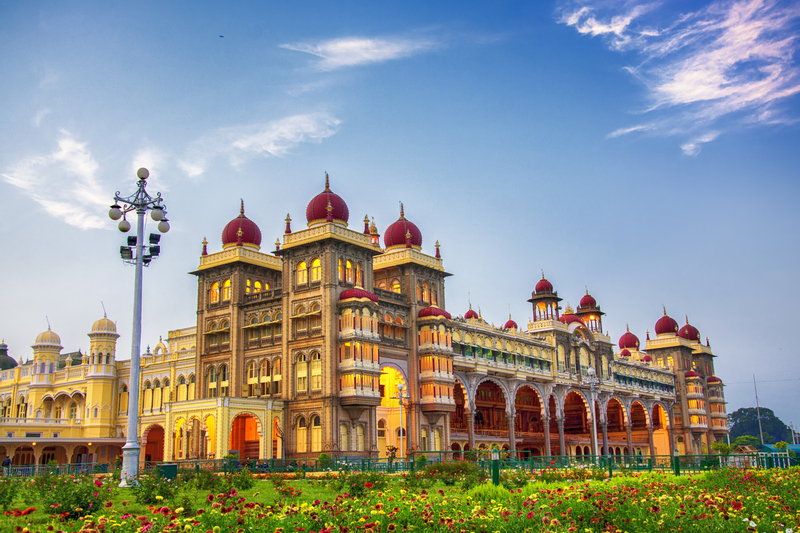 By Train: Anantapur is connected to the cities like Hyderabad, Bangalore, Mumbai, New Delhi, Ahmedabad, Jaipur, Bhubaneswar, Pune, Vishakapatnam and other major cities, by well-laid out network of Indian Railways. By Road: The National Highways 7 and 205 pass through and connect Ananthapur with all the major cities of India. Moreover, there are numerous private and government bus services connecting the city with the other parts both, within and outside Andhra Pradesh.